The LORD of hosts is with us; The God of Jacob is our refuge. Selah Come, behold the works of the LORD, Who has made desolations in the earth He makes wars cease to the end of the earth; He breaks the bow and cuts the spear in two; He burns the chariot in the fire. Jesus Christ Himself in the power of the Holy Spirit, the greater one in us, has now become for us wisdom from God-and righteousness and sanctification and redemption. When we understand this truth and act on it we shall never be the same nor defeated any more. The deception of men is that they think they are so wonderful when they are not. They think they can achieve anything without God. They built great towers and monuments to themselves and then ask why He is upset with their inventions. They don’t understand they were doing it to exalt themselves and forgot their Creator. They forgot to worship Him, to thank Him, to love Him for who He is to them. They forgot their Lord and Savior. So, men will think what men will think and God will think what God will think and we will see the final outcome. For most it will not be what they expected. For few it will be unexpected. For a very, very few it will be as expected and properly rewarded. 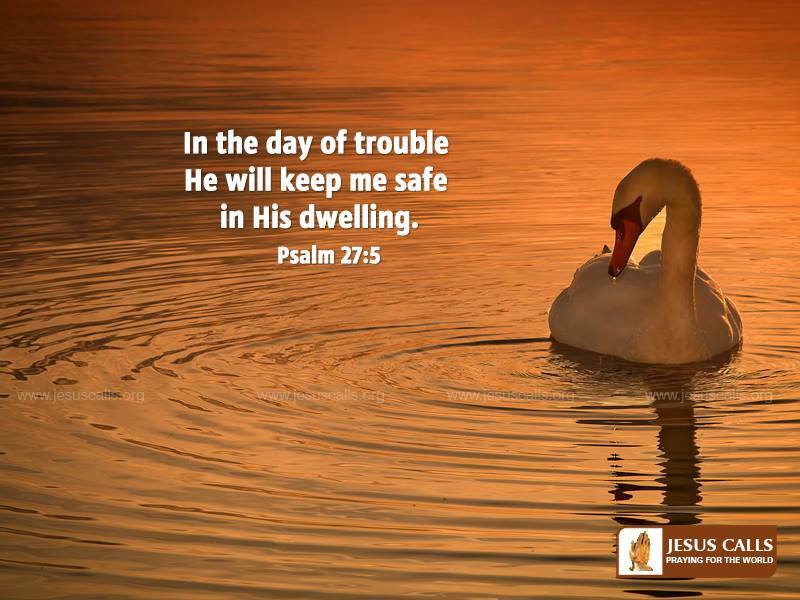 Safe haven comes to those who wait upon God. To those who are dedicated to His service and recognize their own finiteness. The greatest enemy of all of God’s people is deception. Whether it is self-deception or general malice it is still deception. The only way to avoid this deception is to get on our knees humble ourselves and admit we are wrong and unworthy of God. Then, with God we can build on this foundation, restructuring our lives into something that will be profitable, pliable and usable. Just as we can’t put new wine into old wine skins, we can’t fit God into man’s logic or traditions. He just doesn’t fit. We have to conform to His ways. We have to change our thinking. We have to embrace His truth and recognize it is the only answer for our lives that makes any sense. For in God’s world, there could not be so much violence, war, famine, slavery, selfishness, that we have today amongst us. But He the God of all love and compassion and grace he demands something of us. That we lay down our ways and embrace His ways. That we recognize we are wrong and imperfect without Him. That we admit we need a real change and open ourselves to receive that change. Then, we become more like Him and can make a difference in the world around us. The enemy is trying to hold God’s Presence away from His people but there are many who are ready and willing to embrace the truth once they hear of it or see its true effects on their lives. He is opening that door for them. He is delivering them of their deceivements. He is bringing a new day into Christian lives and then He will open it to all who hunger and thirst for Him. For God does have His timing and His choosing and His ways. He does not necessarily fit into people’s perception of Him. They think He is only a God of love, mercy and grace but He is also a God of judgment. He forgives but He also brings the consequences of people’s behavior upon themselves. He even brings it upon their children to the third and fourth generation. This entry was posted in WALTER'S WEB and tagged be still!, christianity, FAITH, FALSE PROPHETS, FULL GOSPEL, GIFTS OF THE SPIRIT, HEALING, HOLY SPIRIT, JESUS CHRIST, VICTORY MINISTRIES, WALTER KAMBULOW, WORD OF FAITH on June 30, 2014 by WALTHOPE. RAVENOUS WOLVES MEETING WITH EACH OTHER (MATT. 7: 15)! Evangelical charismatics = NO DISCERNMENT. They lean on their own understanding, extra biblical “dreams, visions and “words of knowledge” instead of Sola Scriptura – Scripture alone — Well look at them now >>> The names of the delegates in the photograph (Left to Right) are: Carol Arnott, John Arnott (Partners in Harvest), Brian Stiller (World Evangelical Alliance), Kenneth Copeland (KCM), Pope Francis, Thomas Schirrmacher (WEA), Geoff Tunnicliffe (WEA), James & Betty Robison (Life Outreach International) and Tony Palmer (The Communion of Evangelical Episcopal Churches & The Order of the Ark Community). The big mistake that is being made is that these people are not “Charismatic Christians” but rather they are “false Charismatic Evangelical Christians”. It is a dis-service to the Holy Spirit to call them “Charismatic” because they have counterfeit/false gifts which do not come from the Holy Spirit: false prophecy, false tongues, false everything (Matt. 24: 24; Mk. 13: 22). Their false works tell us clearly that they “have received the mark of the beast” (Rev. 19: 20). They are not of the fellowship of Jesus Christ as you can see them standing together with the pope. I guess the best thing we can say about them is that they are today’s Scribes and Pharisees of whom, as Jesus said, “You are wrong because you know neither the Scriptures nor the power of God” (Matt. 22: 29). Jesus publically rebuked Pharisees and even called them names. (Go reread the gospels). Many mistakenly believe that it is wrong to expose error and to name the guilty teachers; but they are wrong according to the Bible. They warned by letter and by Mouth those to shun and to avoid. Paul named Demas for loving the world. Paul named Hymenaeus and Alexander. Paul named Hymenaeus and Philetus. Paul named Alexander the coppersmith. What kind of love lets wolves like these men decimate the flock of God. If you were about to drink deadly poison, would it be love for me to stand by and not warn you? The Pope teaches another gospel and another Jesus and worships, prays to and bows down to Mary. He is an idol worshipper. What fellowship has light with darkness? The Bible Admonishes us to expose error, not join in with it and condone it. On the 21 st of January this year (2014) during his organisation’s annual “Minister’s Conference”, Kenneth Copeland, his “ministry”, and attendees received a personal video message from Pope Francis. Kenneth Copeland Ministries’ YouTube channel says, concerning the message, that everyone was “greatly inspired” by it. What was everyone inspired about? That Pope Francis called the protestant reformation the sin of disunity and that he is looking forward to protestant’s repenting and coming back into the fold? Pope Francis didn’t make that statement in exactly those words, but this is what it boils down to, what it always boils down to with the Roman Catholic Church. The Roman Catholic Church has always believed, and still believes, that it is the doorway to God and heaven, that the Pope is the Head of the Church, and that the Pope is the Vicar of Christ (rather than the Holy Spirit). Has the Roman Catholic Church repented of its doctrine of transubstantiation (i.e. bread and wine turning into the body and blood of Christ during the Mass)? No. Has the Roman Catholic Church repented of its heretical doctrine of purgatory (atoning in purgatory for your own sins, rather than Christ alone atoning for your sins)? No. … and then there is a host of other heretical, if not blasphemous teachings for which the Roman Catholic Church and their Pontiffs are responsible and of which they have never repented. What did the reformers die for? Nothing according to the Pope, and apparently Kenneth Copeland agrees with him. The reformers said, “NO!” to the Popes of their day, “NO!” to the Roman Catholic Church, and “YES!” to God and His Word. The Reformation came about through the reading of the Bible (as opposed to it being hidden by being read in Latin when the common folk did not understand it). The Roman Catholic Church has always tried to hide, shroud and conceal the Word of God – Kenneth Copeland has merely joined their ranks. Kenneth Copeland has gone from being a popular False Prophet, to being profitable for the counter-reformation movement of Rome. All this does is to further confirm that Kenneth Copeland is not only a false prophet, but a wolf in sheep’s clothing. A true prophet hears from and speaks the Word of God, which does not contradict Scripture. Where is spirit-led-Copeland headed? To the city on seven hills, to Rome, to the Vatican, to Spiritual Babylon. Peter, in his first epistle (1 Peter 5:13), euphemistically called Rome (where he was at the time) Babylon. Peter knew it, the first-century Christians knew it, the reformers knew it, but the Profit Copeland doesn’t, or he doesn’t care. There is more to say regarding Kenneth Copeland, Charismatics, Emergents and the Road to Rome … but we will bring you more in a future edition of CETF. “Pope Francis’ Message to Kenneth Copeland Ministries, Calling”, www site. http://www.youtube.com/watch?v=eulTwytMWlQ, 27 Feb 2014, cited 3 Jun 2014. 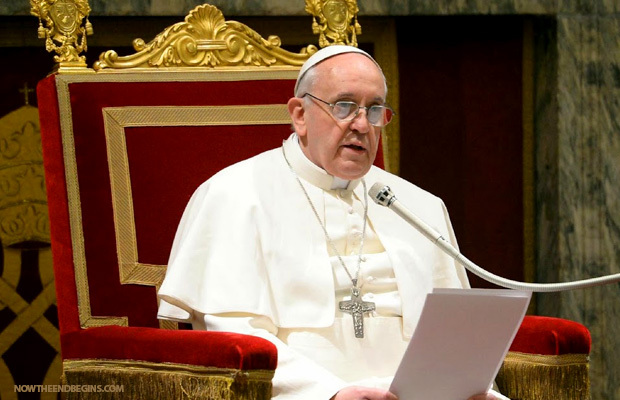 Pope Francis’ message is irenic, and regarding Roman Catholic and Protestant disunity he said, “…it’s sin that has separated us, all our sins. The misunderstandings throughout history. It has been a long road of sins that we all shared in. Who is to blame? We all share the blame. We have all sinned. There is only one blameless, the Lord.” But, one must remember that many of the Protestant Reformers at the outset of the Reformation were ex-Roman Catholic priests. There was no “misunderstanding”; they knew full well what Rome taught and knew how Catholic doctrine and dogma corrupted the Word of God. And Rome knew full well why the Reformers left – and that is why Pope after Pope has pronounced anathemas against Protestants. All that is happening now is that the Devil is trying a different tact. Just months after Anglican priest and personal friend to Pope Francis Tony Palmer gave a rousing performance urging Christians to place themselves under the authority of the Roman Catholic system, he appears to have died suddenly in a motorcycle accident. 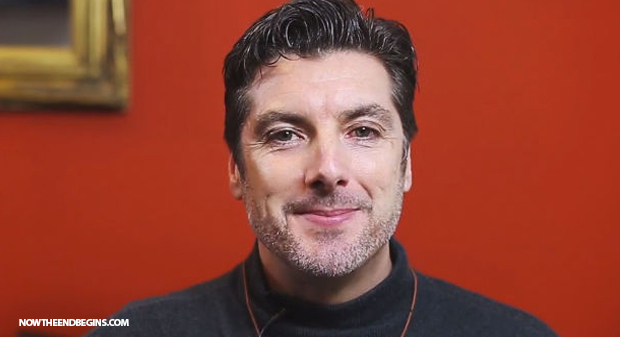 Tony Palmer had said that he was a “prophet in the spirit of Elijah”, and that his mission was to unite the Christian evangelical church with the Roman Catholic system. He declared “Martin Luther’s protest to be over”, and said that it was time for “Christians to come home to Rome”. Tony’s deluded vision of seeing Christians “coming home to Rome” will also die with him. 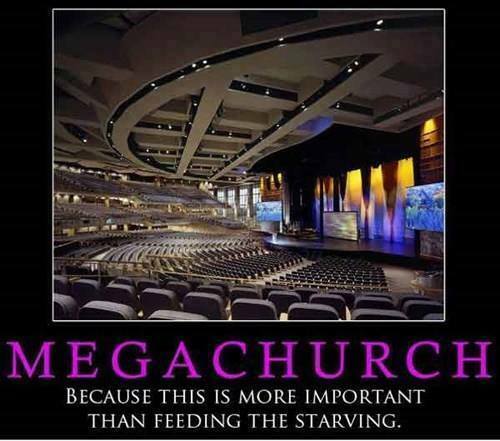 SO WHEN IS THE POPE GOING TO GIVE AWAY THE WEALTH OF THE CATHOLIC CHURCH TO FEED AND CLOTHE THE POOR? Two prominent Fort Worth-based Christian ministers led a delegation of Evangelical Christian leaders to Rome to meet privately with Pope Francis. James and Betty Robison, co-hosts of the Life Today television program, and Kenneth Copeland, co-host of Believer’s Voice of Victory, met the Roman Pontiff at the Vatican on Tuesday. The meeting lasted almost three hours and included a private luncheon with Pope Francis. Mr. Robison said he was impressed by Pope Francis’ humility and courtesy to the visiting delegation of Evangelical Protestant Christian leaders. In addition to Mrs. Betty Robison, the high-profile Protestant delegation included Kenneth Copeland, co-founder of Kenneth Copeland Ministries in Newark, TX; Reverend Geoff Tunnicliff, CEO of the World Evangelical Alliance; Rev. Brian Stiller and Rev. Thomas Schirrmacher, also from the World Evangelical Alliance; and Rev. John Arnott and his wife, Carol, co-founders of Partners for Harvest ministries in Toronto, Canada. Gloria Copeland did not travel to Rome because of a previously scheduled commitment. The ecumenical meeting in Rome was organized by Episcopal Bishop Tony Palmer. Rev. Palmer is an ordained bishop in the Communion of Evangelical Episcopal Churches, a break-away alliance of charismatic Anglican-Episcopal churches. Bishop Palmer is also the Director of The Ark Community, an international interdenominational Convergent Church online community, and is a member of the Roman Catholic Ecumenical Delegation for Christian Unity and Reconciliation. Bishop Palmer developed a friendship with Pope Francis when the future Roman Pontiff was a Catholic official in Argentina. Prior to becoming a CEEC bishop, Rev. Palmer was the director of the Kenneth Copeland Ministries’ office in South Africa. He is married to an Italian Roman Catholic woman. He later moved to Italy and began working to reconcile Roman Catholics and Protestants. Kenneth Copeland Ministries was one of Mr. Palmer’s first financial contributors over 10 years ago in support of his ecumenical work in Italy. Earlier this year, Pope Francis called Bishop Palmer to invite him to his residence in Vatican City. During the meeting, Bishop Palmer suggested that the Pope record a personal greeting on Mr. Palmer’s iPhone to be delivered to Kenneth Copeland. Mr. Copeland showed the Papal video greeting to a conference of Protestant ministers who were meeting at Mr. Copeland’s Eagle Mountain International Church near Fort Worth, Texas. In the video, Pope Francis expressed his desire for Christian unity with Protestants. Later, James Robison telecasted the video on his daily TV program, Life Today. “The pope, in the video, expressed a desire for Protestants and Catholics to become what Jesus prayed for — that Christians would become family and not be divided,” Mr. Robison said the response to the video was very positive, and that Pope Francis asked Bishop Palmer whether a meeting could be arranged with Evangelical Protestants seeking Christian unity in the world. In his written statement released after the Papal meeting, Mr. Robison said he was “blessed to be part of perhaps an unprecedented moment between evangelicals and the Catholic Pope.” He described the Protestant delegation’s private meeting with the leader of the Roman Catholic Church as “an intimate circle of prayerful discussion and lunch to discuss not only seeing Jesus’ prayer answered, but that every believer would become a bold, joy-filled witnesses for Christ. Mr. Robison said Pope Francis had written recently, “Too many Catholics look like they’ve been to Lent with no Easter. It’s a mistake for them to look like they’ve been to a funeral” as he challenged Catholics to witness and never try to control the Holy Spirit, but yield to Him. Aware that the meeting with the Pope will be troublesome among staunch Protestants, Mr. Robison said he and the other visiting Evangelical Christian leaders talked about diversity and their belief that Roman Catholics and Protestants could work together without compromising their beliefs. Mr. Robison, whose ministry digs water wells and supplies food for impoverished people in third-world nations, recounted that he was christened as a fatherless boy in an Episcopal Church. As an adult, he joined the Southern Baptist Church. In the 1980s, he became one of the first prominent Southern Baptist ministers to openly proclaim he had received the baptism of the Holy Spirit. The gesture came during a three-hour meeting of Pope Francis and Texas televangelists Kenneth Copeland and James Robison, just weeks after the pontiff met with televangelist Joel Osteen and other religious leaders. At the June 24 meeting, Robison said he was so moved by Pope Francis’ message of the gospel that he asked the translator to ask Francis for a high-five. The pope obliged, raised his arm and the two men smacked hands. The televangelists are among some wealthier U.S. evangelicals who have recently met with Francis, who has called for a focus on the poor and a simple lifestyle for clergy. In March, the pope met with members of the Green family, the Oklahoma billionaires whose company, Hobby Lobby, won their challenge to President Obama’s contraception coverage mandate at the Supreme Court last week. Robison said he was born into the Episcopal Church but didn’t have a “born-again” conversion until later in life, the kind of story he sees among many Protestants and Catholics. “There are a lot of evangelicals and Catholics who don’t know Christ,” he said. In fact, Francis’ meeting may reflect a shift in emphasis within the papacy. His predecessor, Benedict XVI, regularly bemoaned the decline of Christianity in his native Germany and across Europe. In contrast, the Argentine Francis comes from a region where competition from Pentecostalism is one of the biggest challenges facing the Catholic Church, Peppard said. As unusual as it might seem for a pope meet with celebrity Protestant preachers, the potential awkwardness goes both ways. While some praised Robison for going to Rome, others said Protestants and Catholics have too many differences, on issues that include the role of the Bible, saints, the status of the Virgin Mary and the nature of salvation. “Very disappointed in you James and Betty. Never forget the Inquisition — Never forget!” one commenter wrote on Robison’s website. 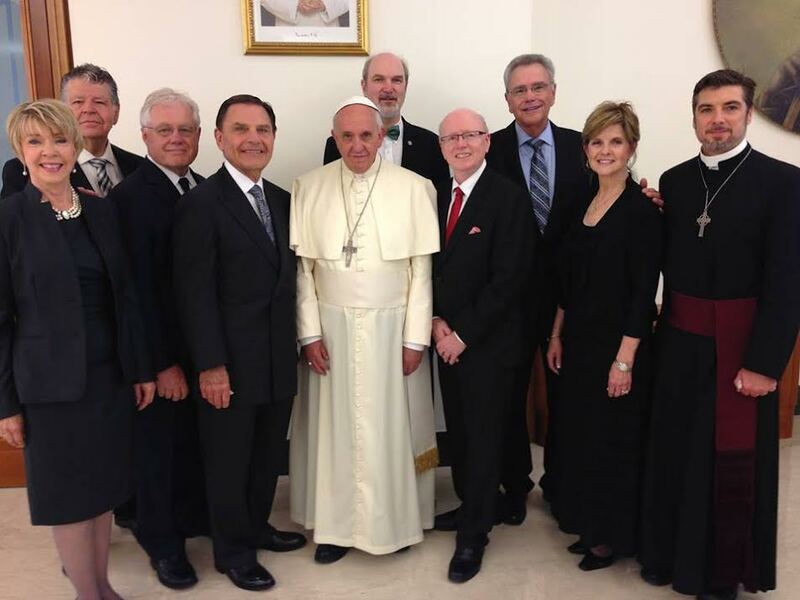 Osteen’s meeting with Francis on June 4 was part of a larger gathering coordinated by the International Foundation, also known as “the Fellowship.” Osteen was joined by Utah Sen. Mike Lee, a Mormon; California pastor Tim Timmons; and Gayle D. Beebe, president of evangelical Westmont College. Pentecostal and charismatic Christians – charismatics are often Pentecostals in other churches, including the Catholic Church — share much in common, such as speaking in tongues and healing. Together, they make up at least 584 million people in the world, about 9 percent of the global population and one in four Christians worldwide, according to the Pew Research Center. And that’s probably partly why Francis extended the invitation to the U.S. pastors. The Rev. Wesley Granberg-Michaelson, a veteran of Catholic-Protestant ecumenical groups and the author of “From Times Square to Timbuktu: The Post-Christian West Meets the Non-Western Church,” said Pentecostalism is growing in the Global South at three times the rate of Catholic growth, especially among the poor. A flawed “theology of suffering. CATHOLICS ARE NOT TRUE CHRISTIANS AS THEY TEACH LIES. ” In Mother Teresa’s words: “The most beautiful gift for a person is that he can participate in the sufferings of Christ.” Therefore, the Catholic who suffers the most is closest to Christ. When you remove suffering, you remove Christ. Instead of minimizing their suffering, Mother Teresa ensured it. Alleviating suffering, let alone eliminating it, was out of the question. Seen from this perspective, her behavior toward her patients makes sense. Instead of curing them, Mother Teresa gave the bare minimum of treatment, resulting in suffering for most and death for some. She gave insufficient or outdated medicine, reused old syringes, and gave cold baths to all patients, even those who could find comfort in a warm one. She’d refuse to install elevators for the disabled, even when the city government offered to pay for it. Instead of hiring competent doctors, she’d rely on incompetent volunteers because she believed strongly that ignorance was more valuable than expertise (Livemore 93, 156). This entry was posted in WALTER'S WEB and tagged “Charismatic Christians”, BILL JOHNSON, Brownsville Revival, Charismatic Evangelical Christians, Counterfeit Holy Spirit, FALSE, false everything, false prophecy, false tongues, INTEGRITY, jim bakker, JOEL OSTEEN, JOSEPH PRINCE, LYING SIGNS AND WONDERS, MEN OF INTEGRITY, NATIONAL AWAKENING, RICHARD ROBERTS, RICK JOYNER, RICK WARREN, SID ROTH, STACEY CAMPBELL, STRADERS, THE BIG MISTAKE, THIRD WAVE, THIRD WAVE PREACHERS, TODD BENTLEY, VICTORY MINISTRIES, WALTER KAMBULOW, WORD OF FAITH on June 30, 2014 by WALTHOPE. What does it mean to look unto Jesus? Well, we can think of it like this: If you are drowning and somebody walks past you, you do not look athim. You look unto him. When you look unto him, you are turning to him and expecting him to rescue you. My friend, if you have been looking unto yourself, it is time to start looking unto Jesus. Look unto Him, the author and finisher of your faith. And soon, you will be looking at your healing and provision! It is one thing to seek God; it is quite another thing to have God seek you. Jesus sought this man out when others had forsaken him. The acceptance of Jesus is worth more than everything this world has to offer This is what enables the believer to endure and even leap for joy amidst persecution. When our sufferings in Christ abound, then the consolation of Christ abounds much more. Notice that this man’s parents, who knew the truth, but refused to share it for fear of persecution, did not have Jesus seeking them out (Jn. 9:22). They chose the company of the hypocritical scribes and Pharisees, which is exactly what they got. Even though the believer is redeemed and delivered from many afflictions that were a result of sin and its power, we are still called to partake in what the scriptures call the “sufferings or afflictions of Christ” (2 Cor. 1:5; Col. 1:24). However, these afflictions are not sickness and poverty as some religious teachings suggest. These afflictions are described as the “fellowship of sufferings” that the believer will encounter for doing the will of God, or the sufferings brought on by one’s allegiance to Christ. Persecution for righteousness’ sake is not something that we can rebuke (2 Tim. 3:12). We must remember that as we live godly lives, suffering will follow. The Apostle Peter reminds us that these trials of our faith will result in praise, honor and glory at the appearing of Jesus Christ (1 Pet. 1:7). Jesus’ comfort, strength, help, and love are ready to “overflow” into every “trial” that we face if we will only look to Him (Heb. 12:2). Many consider the ancient Greek physician Hippocrates as the father of Western medicine. He understood the importance of following moral principles in the practice of medicine, and is credited with writing the Hippocratic Oath, which still serves as an ethical guide for today’s medical doctors. One key concept of the oath is “to do no harm.” It implies that a physician will do only what he thinks will benefit his patients. The principle of doing no harm extends to our relationships with others in everyday life. In fact, benevolence is central to New Testament teaching about loving others. In reflecting on the law of God, Paul sees that love is the intent behind many biblical commands: “Love does no harm to a neighbor; therefore love is the fulfillment of the law” (Rom. 13:10). Each day as we follow Jesus Christ our Savior, we are faced with choices that will affect the lives of others. When we choose a course of action, we should ask ourselves, “Does this reflect Christ’s concern for others, or am I only concerned for myself?” Such a sensitivity demonstrates the love of Christ that seeks to heal the broken and help those in need. Lord, I admit that it is easy to be consumed with my own wants and needs. Thank You that You showed us how to be concerned for others too. Help me to follow Your example in caring for others. We’ve seen some tremendous medical breakthroughs in our generation. We’ve seen “miracle drugs” developed that can conquer many kinds of sickness and disease. But, you know, in the 20-plus years I’ve been a believer, I’ve discovered another, much more effective kind of medicine: the Word of God. There’s never been a miracle drug that could equal it. God’s medicine is the answer to every need. It is life. It is health. It is the power of God. And if you put it in your heart and act on it, you will be healed. Sometimes people ask, “If God’s medicine works every time, why are there so many believers who are still sick?” There are two reasons. 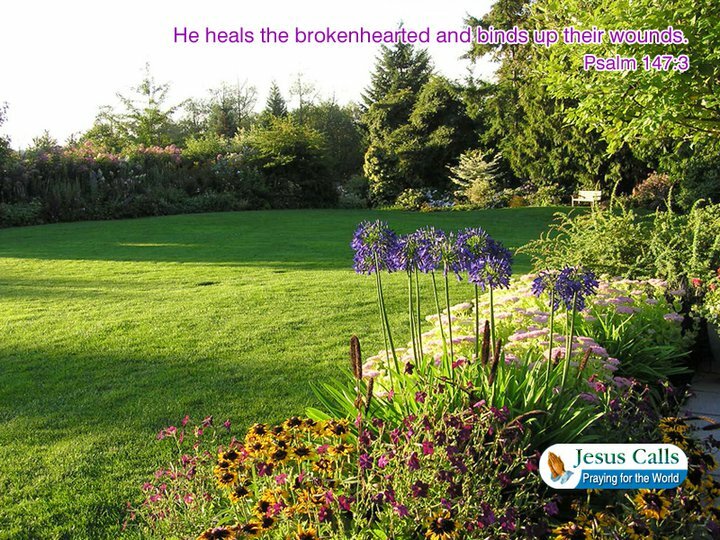 Number one, because they don’t take the time to plant the Word concerning healing deeply into their heart. And number two, because they don’t do what that Word tells them to do. Think of it like this: If a doctor prescribes medicine for you to swallow daily and you decide to rub it on your chest instead, that medicine isn’t going to work for you. You have to follow the instructions and use it properly if you expect to get well, don’t you? In the same way, if you read God’s prescription for health and don’t act on it, you won’t reap any of its benefits. Proverbs 4:22 says God’s Words are life and health to you. So don’t wait until you get sick to start using them. Start now. Begin to put God’s Word in your heart in abundance and it will be hard for you to get sick. That Word within you will constantly be keeping God’s healing power at work in you. And don’t worry. There’s no limit to the amount of God’s medicine you can take. You can’t get an overdose. The more you take, the stronger you get. Dear Lord God, I praise You. I honor You. I thank You God for another beautiful day. Your smile breaks through the cloud with splendid sunshine this morning. Your holy face shines upon my face tenderly. I breathe in Your holiness by the fresh air. Your holy light brightens up the world that every living creature is on its revival. I sing You hymns of praise with my lips of pureness for Your unfailing love in me endures forever. You bless me when I come in and bless me when I go out; You sustain me with Your right hand throughout my sojourn on this earth. This entry was posted in WALTER'S WEB and tagged christianity, FAITH, FALSE PROPHETS, FULL GOSPEL, GIFTS OF THE SPIRIT, HEALING, HOLY SPIRIT, JESUS CHRIST, LOOK, MIRACLES, PROSPERITY, VICTORY MINISTRIES, WALTER KAMBULOW, WORD OF FAITH on June 30, 2014 by WALTHOPE. The Word tells us that God shows Himself strong in behalf of those whose hearts are “perfect” toward Him (2 Chron.16:9). That word “perfect” doesn’t mean that we have to do everything just right and live without making a mistake. Thank God, we don’t have to do that. It means “devoted”–a heart consecrated, dedicated, loyal and faithful to God. Maybe God has been urging you to spend more time in His Word and in prayer or dealing with you about ministering more to the people around you. He may be calling you to pray for the sick or to teach the Word. But you’re busy, so you glide on with good intentions and tell God you’ll do it later. Well, later is here! Do you want to be a ruler in the household of God? Do you want Him to show Himself strong for you? Then take up Jesus’ thoughts today. Take up His purposes and His plans. Now is the time to be faithful! This verse has often been used to support the misconception that Jesus and His disciples lived in poverty. However, in this instance, the fact that Jesus had nowhere to lay His head was because of persecution. The Samaritans, because of a religious prejudice, had just refused Him hospitality and a place to stay as He journeyed to Jerusalem. Persecution is part of the cost of living a Christian life. Jesus was communicating to this man that not having a place to stay at times was part of that cost. There are many forms of persecution. Having your life threatened because of your faith in Jesus is one way you can be persecuted, but it is not the most damaging. History shows that the Church has always flourished under persecution with increased numbers and zeal. During intense, life-threatening persecution, people’s priorities get straightened out and the Lord assumes His rightful place. This always works for our good, regardless of what our outward circumstances might be. A far more deadly form of persecution is men simply speaking evil of you or separating you from their company. It’s more deadly because it’s more subtle. Many who would never directly deny the Lord will fall into self-pity or strife because of someone’s criticism. This will render one just as ineffective as a negative reaction to having one’s life threatened would. It helps to recognize that it is not you that they are persecuting, but rather Christ in you. You are actually becoming a partaker of His sufferings and will share His rewards. With this in mind, we can actually shout and leap for joy in persecution! When Kelly Steinhaus visited Harvard Square to ask college students what they thought of Jesus, the answers were respectful of Him. One said He was “a person who took care of people.” Another said, “He sounds like a cool guy.” Others rejected Him outright: “He was just a guy. I don’t think He was the Savior.” And “I do not accept any faith system that says, ‘I am the only way to God.’” Some people thoughtfully question who Jesus is and some reject Him. As Jesus faced death 2,000 years ago, many people mocked the idea that He was anyone special. “They put up over His head the accusation written against Him: ‘THIS IS JESUS THE KING OF THE JEWS’ ” (Matt. 27:37). Those who said, “You who destroy the temple and build it in three days, save Yourself!” (v.40) were doubting His power. The religious people even said, “He saved others; Himself He cannot save” (v.42). In His death, Jesus may have seemed powerless. But when we read the whole story, we see that He gave His life willingly. He proved Himself to be the Son of God and limitless in power as He burst forth from the tomb. Grasp the value of His death and behold the power of His resurrection. He’s the Savior of the world! God gets all the Glory, AMEN!!! This entry was posted in WALTER'S WEB and tagged christianity, FAITH, FALSE PROPHETS, FULL GOSPEL, GIFTS OF THE SPIRIT, HEALING, HOLY SPIRIT, JESUS CHRIST, LATER, THE BAPTISM OF THE SPIRIT, VICTORY MINISTRIES, WALTER KAMBULOW, WORD OF FAITH on June 30, 2014 by WALTHOPE. Jesus was constantly being accused of breaking the law of Moses. He taught differently than the law of Moses (Mt. 5:21-48), and now He rebukes His disciples for desiring to do what an Old Testament prophet did with God’s blessing and power. However, Jesus didn’t come to destroy the law but to fulfill it. 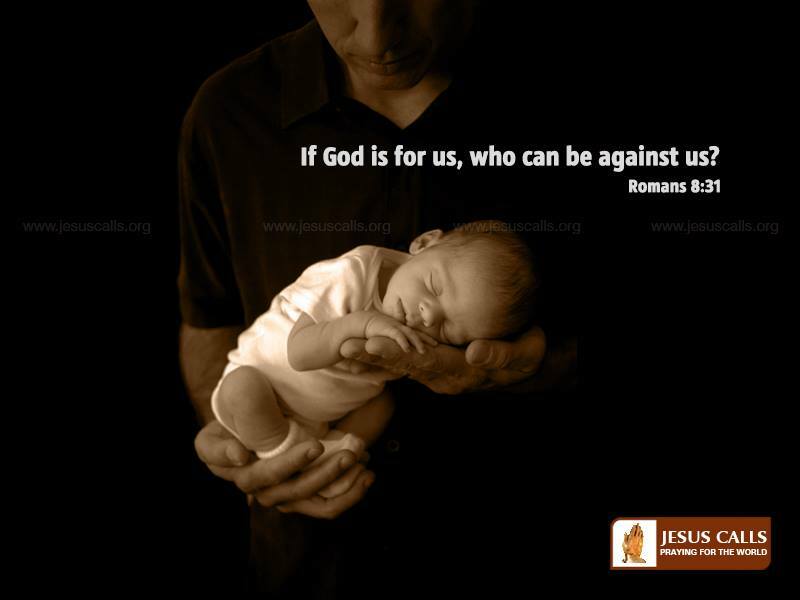 Jesus came not to destroy men’s lives but to save them (Jn. 3:16; 10:10). “God was in Christ, reconciling the world unto himself, not imputing their trespasses unto them” (2 Cor. 5:19). Jesus was just in doing this because He bore our sins (Isa. 53:4-6) and the accompanying wrath of God (Mt. 27:46; Heb. 2:9). Jesus didn’t reject God’s judgment against sin; He bore it (2 Cor. 5:21). Therefore, He was able to extend the grace and mercy of God to those who would have been doomed under the law of Moses (Acts 13:38-39). The Old Testament law was like a judge passing sentence upon sin. Jesus became our advocate (or lawyer). Even more than that, He became our substitute, bearing “our sins in his own body on the tree” (1 Pet. 2:24). He didn’t destroy God’s judgment; He fulfilled it in Himself, so that we could go free. This forever changed God’s dealings with sinful man. In light of what Jesus has done in the New Covenant, we would be rebuked for trying to release God’s wrath upon others as was done in the Old Covenant. Likewise, if Jesus would have been on the earth in His physical body, reconciling the world unto Himself in the days of Elijah, then Elijah would have been rebuked for his actions, as recorded in 2 Kings 1:9-15. There is a difference between Old Testament law and New Testament grace. “For the law was given by Moses, but grace and truth came by Jesus Christ” (Jn. 1:17). Grow in grace. Death. It’s not a popular topic–even among believers. In fact, a great many are just plain scared of it. Oh yes, they talk about having eternal life. Yet when the devil tries to threaten their earthly survival with sickness or calamity, they panic. If you’ve made Jesus the Lord of your life, the only death you’ll ever experience is behind you now. It occurred the instant you received Christ. At that moment, your old self–the one whose nature was to sin and rebel against God–died. Your body didn’t die, but your spirit man–the real you– died to Satan and all of his works. You became “a new creature” (2 Cor. 5:17), immortal and absolutely incapable of death! When you’re finished with your work on the earth, you’re not going to die. You’ll simply shed your earthly shell and relocate to a far more glorious place. Go to the Word and get God’s perspective on death. Make a study of it. Once the reality of your immortality begins to dawn on you, the devil will never be able to threaten you with it again. Chad Pennington is a former American football player who has suffered multiple career-threatening injuries. Twice, his injuries forced him to endure surgery, months of physical therapy, and weeks of training to get back onto the field. Yet, both times he not only returned to playing but he also excelled at such a high level that he was named Comeback Player of the Year in the National Football League. For Pennington, his efforts were an expression of his determination to return to football. Spiritually, when sin and failure break our relationship with God and sideline our service, determination alone is not what restores us to rightness with God and usefulness in His kingdom. When we are sidelined because of sin, the path to a comeback is confession as well. “If we confess our sins, He is faithful and just to forgive us our sins and to cleanse us from all unrighteousness” (1 John 1:9). For us to be able to recover from our spiritual failings, we are absolutely dependent on the One who gave Himself for us. And that gives us hope. Christ, who died for us, loves us with an everlasting love and will respond with grace as we confess our faults to Him. Through confession, we can find His gracious restoration—the greatest of all comebacks. Confession is the path that leads to restoration. At some point in our lives, every one of us has missed out on God-given opportunities. Maybe you can think of a few right now. If so, I want to encourage you: Don’t live in regret. Don’t let lost opportunities make you feel disappointed and discouraged. God is bigger than your lost opportunities. No matter what has happened in your past, He can still get your life back on track! It’s sort of like using one of those GPS systems in your car. You set the location to where you want to go, and the GPS calculates the best route. You can be driving along and get distracted and completely miss the street where the GPS instructed you to turn, but that doesn’t mean you’ll never reach your destination. You wouldn’t just pull off to the side of the road crying and say, “Now I’m stuck here. I’ll never get where I need to go all because I missed my turn!” No, there’s always another way to get there. In fact, that GPS system will instantly recalculate the route to your destination based on your present location. Well, God works in a similar way. He is constantly giving us direction, speaking to our hearts, leading us by granting peace or unrest in our spirits. But even when we miss His instructions—and we all do from time to time—He will recalculate our route and get us back where we need to be. I love what the apostle Paul said in Philippians 3:13: “One thing I do: Forgetting what is behind and straining toward what is ahead.” He was saying, we must turn our thoughts toward the future and keep looking for new opportunities. God is a restorer, and He loves to restore opportunities. It may not always happen the way you think, but keep your heart open to Him. He’ll get you back on track toward the wonderful destiny He has prepared for you! Dear Lord God, I praise You. I honor You. Let the morning rain bring me joy and hope from the hands of God on this new day. I rejoice in the Lord for You have blessed me all the way in my life. My soul rejoices in my God for You have clothed me with garments of salvation and arrayed me in a robe of Your righteousness. I humbly come to the throne of grace and seek for Your wisdom and knowledge, please show me the unsearchable things that I do not know and teach me how to pray daily. This entry was posted in WALTER'S WEB and tagged christianity, FAITH, FALSE PROPHETS, FULL GOSPEL, HEALING, HOLY SPIRIT, JESUS CHRIST, MIRACLES, PROSPERITY, TROUBLE, WALTER KAMBULOW, WORD OF FAITH on June 28, 2014 by WALTHOPE. God is more than capable of dealing with His enemies and those of His people. But woe to them who have become His adversaries for the Lord will take vengeance on His enemies. As God does not lie and He has promised to do so and so be it! “For thus says the LORD of hosts: ‘Just as I determined to punish you When your fathers provoked Me to wrath,’ Says the LORD of hosts, ‘And I would not relent, So again in these days I am determined to do good To Jerusalem and to the house of Judah. God’s love for justice is so great that He did not stop to obtain it when Adam and Eve were deceived by the devil and had their freedom and lives stolen from them. Even though it meant the price of God’s only begotten Son, Jesus Christ, God saw that justice was done and Adam and Eve and their seed were redeemed. Redeemed by the new Adam Jesus Christ who was born of the Spirit and not of the flesh. . .
“But they refused to heed, shrugged their shoulders, and stopped their ears so that they could not hear. “Yes, they made their hearts like flint, refusing to hear the law and the words which the LORD of hosts had sent by His Spirit through the former prophets. Thus great wrath came from the LORD of hosts. Therefore, since a promise remains of entering His rest, let us fear lest any of you seem to have come short of it. For indeed the gospel was preached to us as well as to them; but the word which they heard did not profit them, not being mixed with faith in those who heard it. For we who have believed do enter that rest, as He has said: “So I swore in My wrath, ‘They shall not enter My rest,’ ” although the works were finished from the foundation of the world. For He has spoken in a certain place of the seventh day in this way: “And God rested on the seventh day from all His works”; and again in this place: “They shall not enter My rest.” Since therefore it remains that some must enter it, and those to whom it was first preached did not enter because of disobedience, again He designates a certain day, saying in David, “Today,” after such a long time, as it has been said: “Today, if you will hear His voice, Do not harden your hearts.” For if Joshua had given them rest, then He would not afterward have spoken of another day. There remains therefore a rest for the people of God. For he who has entered His rest has himself also ceased from his works as God did from His. Let us therefore be diligent to enter that rest, lest anyone fall according to the same example of disobedience. This entry was posted in WALTER'S WEB and tagged Arise, christianity, FAITH, FALSE PROPHETS, FULL GOSPEL, GIFTS OF THE SPIRIT, HEALING, HOLY SPIRIT, JESUS CHRIST, VICTORY MINISTRIES, WALTER KAMBULOW, WORD OF FAITH on June 28, 2014 by WALTHOPE. The Greek word translated “life” here is “zoe” and it means life in the absolute sense or life as God has it. Everyone who is breathing has life in the sense of physical existence, but only those who receive Jesus can experience life as God intended it to be. Jesus came to not only save us from the torment of eternal hell, but also to give us this “zoe” or God-kind of life in abundance. The life of God is not awaiting us in heaven, but is presently possessed by every born-again person in his spirit. We can release this “zoe” life and enjoy it now by losing our natural life and finding this supernatural life. The way we lose our life is to deny any thoughts, emotions, or actions that are contrary to the Word of God, which is life (“zoe” in Jn. 6:63). When we line our thoughts, emotions, and actions up with the instructions of God’s Word, then we will find this “zoe” life manifest in our bodies and souls as well. The Word is spiritual and must be understood through the spirit (1 Cor. 2:14). The Bible is simply a physical representation of Jesus and spiritual truth. It is inspired of God and therefore, totally accurate and reliable, and yet, until we receive the spirit that these words express, the Bible will not profit us (Heb. 4:2). If we want to know what spiritual truth is, we must believe the Bible, for it is spirit and life. If we want to be led by the Spirit, then we must follow God’s Word. If we want to hear from the Spirit of God, then we must listen to what God says in His Word. The Spirit (Holy Spirit) and the Word (Jesus – Jn. 1:1) are one (1 Jn. 5:7). GO FORTH NEITHER POOR NOR FEEBLE! PSALM 105:37 – He also brought them out with silver and gold, and there was none feeble among His tribes. When the children of Israel were slaves in Egypt, they lived in poverty and faced daily hardships from their cruel taskmasters. Scars and fresh lashes from their masters’ whips covered their bodies. The blistering heat of Egypt caused excruciating sores to fester. Many of them were bent over because of the long hours spent carrying tons of bricks and mortar. Slaving away for long hours under harsh conditions added years to them. And with no proper nourishment, many of them were feeble and emaciated. But something happened to them on the night of the Passover. (Exodus 12) With the blood of the lamb applied on their doorposts, they came under God’s protection. And inside their homes, as instructed by God, they ate the lamb roasted in fire. I believe that those who were blind ate the eyes of the lamb, believing that the perfect eyes of the lamb would give them perfect vision. If they had heart conditions, they ate the heart of the lamb, believing that their hearts would beat strong again. And if they were lame, they ate the legs of the lamb, believing that they would be frisking like lambs. And when morning came, something new and miraculous happened to them. They went forth with God no longer as slaves but free people. They were no longer poor and needy, but possessed silver and gold given to them by the Egyptians. And none of them—there were about 2.5 million of them—were feeble or sickly! If this was what the children of Israel experienced after partaking of the Passover lamb, which was only a shadow or type of Christ, how much more will we who have come under the covering of the holy blood of Jesus, the true Lamb of God, experience such blessings? When you put your trust in the Lamb of God who was burnt by God’s fiery judgment meant for us, you will go forth daily, neither poor nor feeble, but abundantly supplied and divinely strengthened in Christ! A healthy body. Enough money to pay all your bills and extra to invest in the work of the gospel. A godly marriage and happy, healthy children. Peace of mind. God has prepared a banquet full of blessings for you. But those blessings are not just going to fall in your lap. You must be willing as well as obedient if you’re going to eat the best from God’s table. Be willing to receive God’s best plan for your marriage and your children. Don’t settle for the “norm” in the world. Live above it in a home full of love and harmony, a home that is what God meant it to be. Refuse to be robbed of the banquet of blessings that have belonged to you since you became a believer. Be willing to eat the good of the land! God calls us to a wonderful process of learning to know Him, with the assurance that it will lead to productive service in His name and for His honor. Lord, so often we want complete and perfect solutions here and now. But You work graciously in Your good time. Let Your goodness and patience and virtue shine through us so that we may bless others. “Then was our mouth filled with laughter, and our tongue with singing: then said they among the heathen, The LORD hath done great things for them” (Psalm 126:2). Celebrate your successes in life by acknowledging the role God played in them. Sing, shout, and praise Him for His goodness! There’s almost nothing more tender than the picture of a shepherd lovingly caring for his sheep. Jeremiah 23:3–4 demonstrates a good shepherd’s heart—to gather, protect and feed his sheep so that they will “be fruitful and increase”. Jesus, our good shepherd, does all this through shepherds (pastors and teachers) He appoints over His people. Their role in representing Him is not to beat (shame) or fleece (financially exploit) the sheep, but to feed them such that they “shall fear no more, nor be dismayed, nor shall they be lacking”. Now, what is this “food” that brings the sheep to the place of no fear, no discouragement and no lack? It is “the Lord our Righteousness”. Beloved, the more you feed on teaching that reveals Jesus and the gift of His righteousness through faith in His finished work, the more you’ll experience freedom from fear, depression and lack. So pursue ministries that carry Jesus’ heart for His sheep, that boldly proclaim the Lord our Righteousness and that reveal His abundance of grace—and experience His fruitfulness and increase! Conventional wisdom says that your life will be better if you keep everything you have for yourself. However, God clearly says that your life will be better if you work to make another person’s life better. In Galatians 6:7-9, Paul writes, Do not be deceived: God cannot be mocked. A man reaps what he sows. The one who sows to please his sinful nature, from that nature will reap destruction; the one who sows to please the Spirit, from the Spirit will reap eternal life. Let us not become weary in doing good, for at the proper time we will reap a harvest if we do not give up. In other words, what you give to others will affect how they give to you; the amount of love, patience, and kindness that you show to others will affect the amount that they show to you. This principle of giving and receiving applies to many areas of life. For example, if you invest an hour a day into exercising, then you will reap the benefits of that investment—a strong, healthy body. However, if you invest that same time into flipping channels on T.V., then you will reap the benefits of that investment—a wasted hour. Paul isn’t just talking about money or time; in fact, he is focusing on giving into the lives of others. In the very next verse,Galatians 6:10, Paul instructs believers: Therefore, as we have opportunity, let us do good to all people, especially to those who belong to the family of believers. If you “do good” to others by giving into their lives, then you will benefit. Therefore, decide to give freely to others, actively look for ways to be a blessing to other people, and deliberately go out of your way to walk in love. Then, watch as the benefits of that giving affect your life. Remember, your level of living depends on your level of giving. Dear Lord God, I praise You. I honor You. This is the day the Lord has made; let me rejoice and be glad in it. Loving God, let Your unfailing love come upon me with the rain of this morning. May God open the door of the heavenly barn and pour out bounties and abundances into my life with the morning rain! I rejoice in the Lord; my heart leaps for joy and my soul sing “Hallelujah” loudly all day long. This entry was posted in WALTER'S WEB and tagged christianity, FAITH, FULL GOSPEL, GIFTS OF THE SPIRIT, HEALING, HOLY SPIRIT, JESUS CHRIST, LIFE, MIRACLES, VICTORY MINISTRIES, WALTER KAMBULOW, WORD OF FAITH on June 28, 2014 by WALTHOPE.